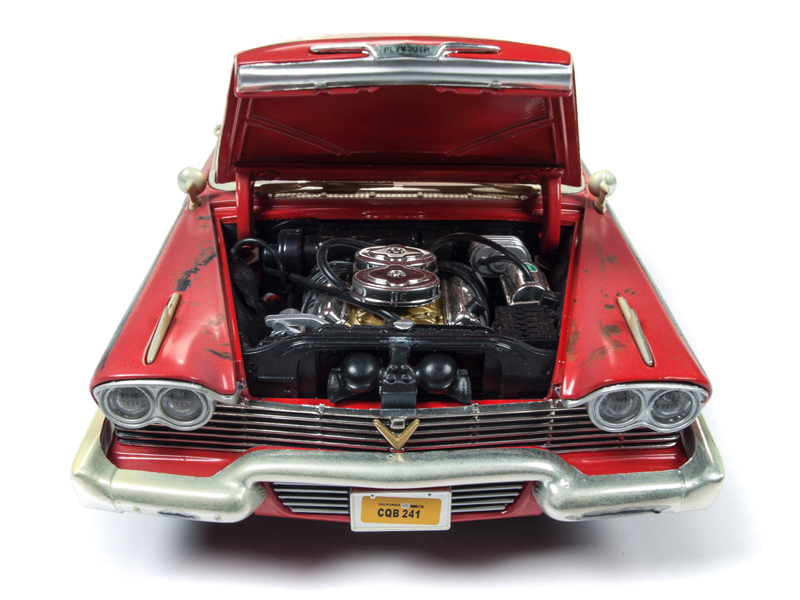 Introducing the Dirty Version of Christine! 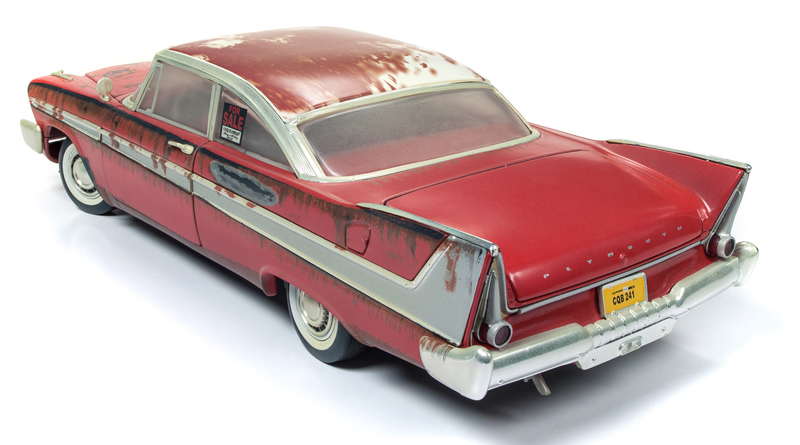 Mysteriously sitting in an overgrown run-down lot, a creepy guy named George LeBay was asking $300 for his dead brother’s junked-out 1958 Plymouth Fury named Christine. 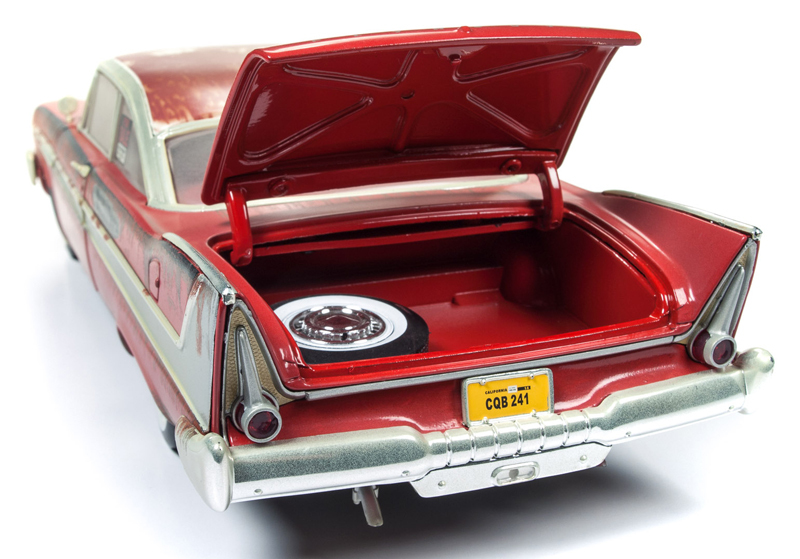 For Arnie Cunningham, George only asked $250 to sweeten the deal. 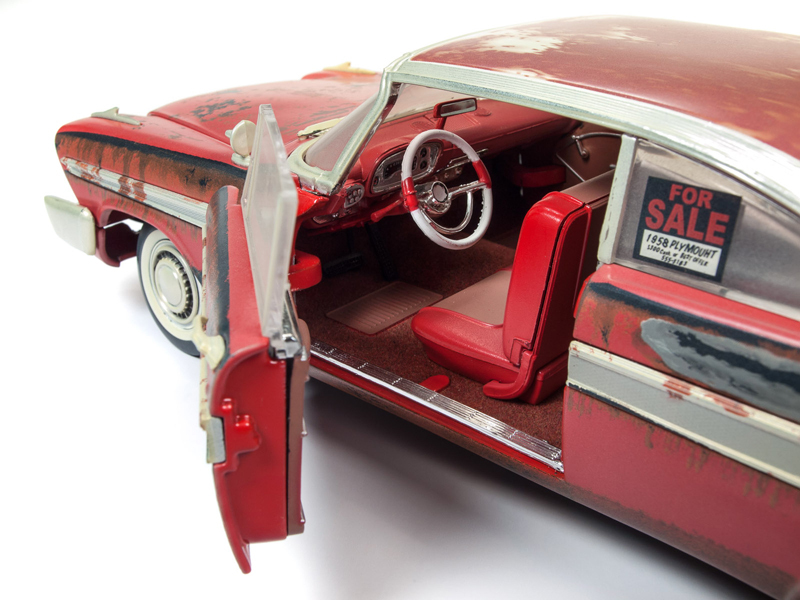 Dennis Guilder tried everything to warn Arnie that something wasn’t right… don’t buy it! 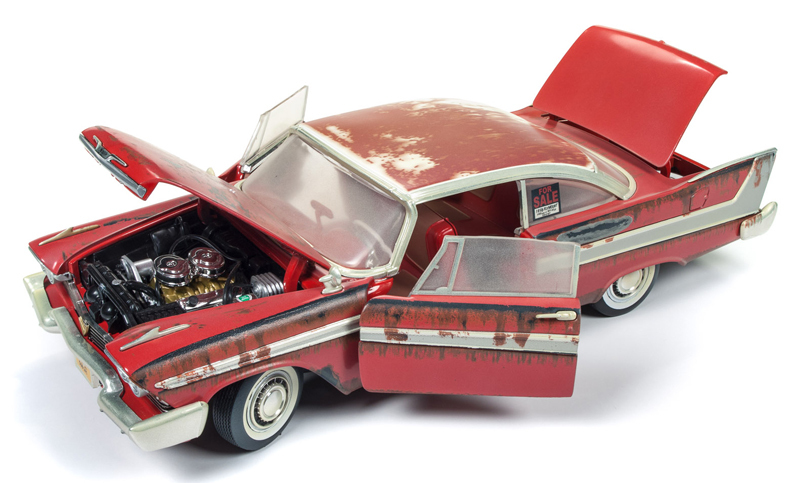 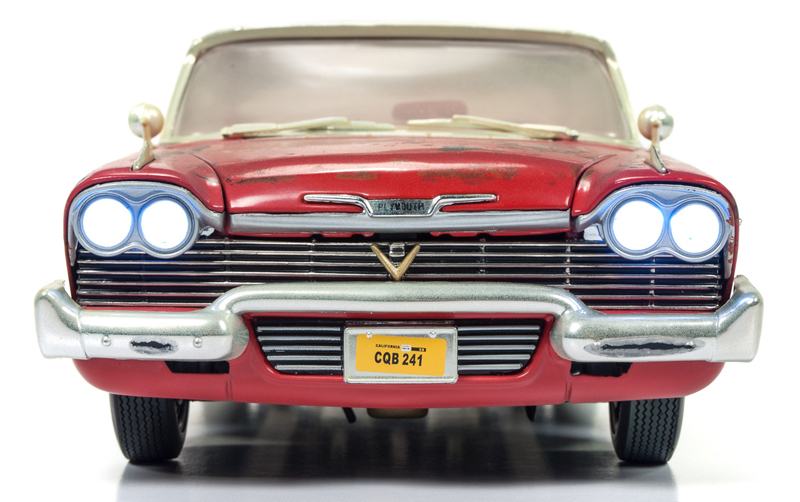 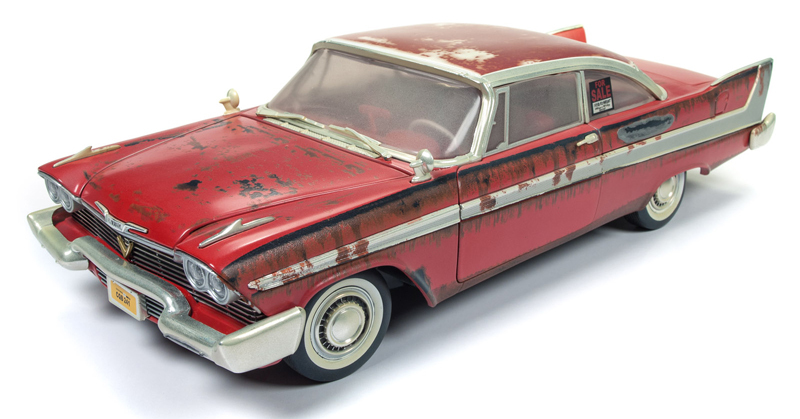 For the first time in 1:18 scale, Auto World has replicated a rusted-out Christine as she appeared in Stephen King’s 1983 horror film!